Transfer skip counting knowledge to be able to use times tables. 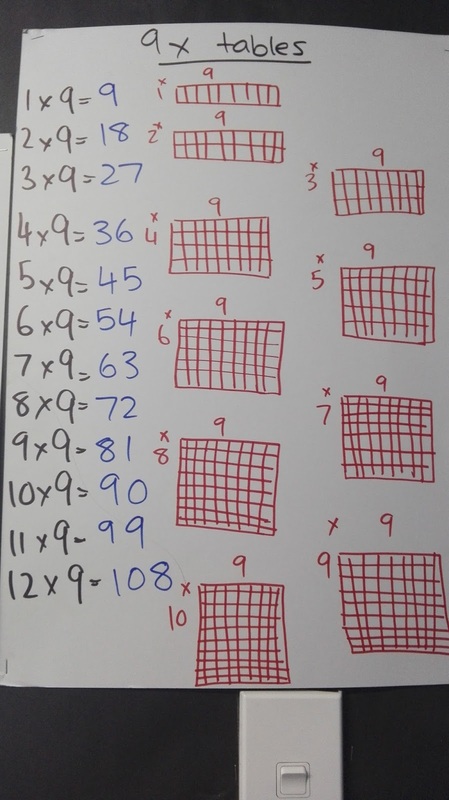 Memorise 2, 5 and 10 times tables. 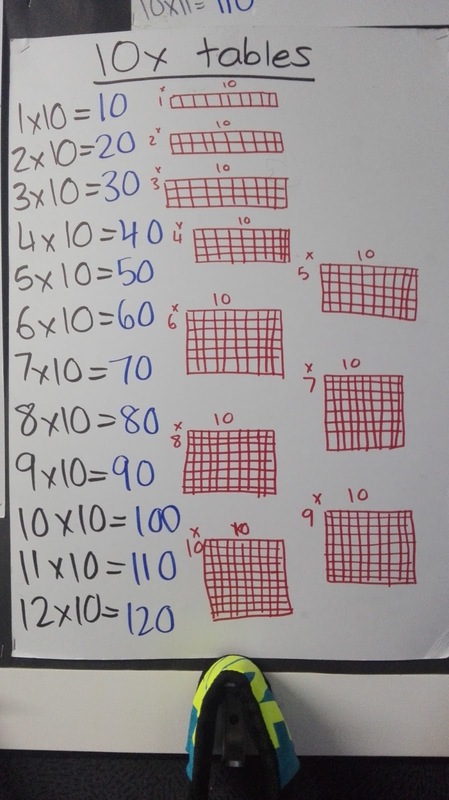 Be able to identify how many 1s, 10s, 100s and 1000s in a number. 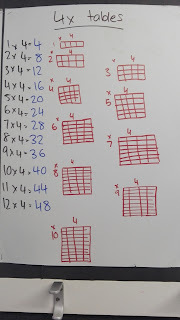 Week 2I would ask them random times tables questions and they would have to answer. I would go around the circle first, saying 1x ? 2x, ? in order, so the students knew the answer (or could add on from the previous persons answer to feel success and build confidence.Towards the end of the week I gave the students a test.Kordell, Lopiseni and Syraiah-Lee didn't engage as much with this, as they found it hard to compete for who said it first. But they do know the answer...We also did Clinics on Friday and I wrote a blog post reflection on it. 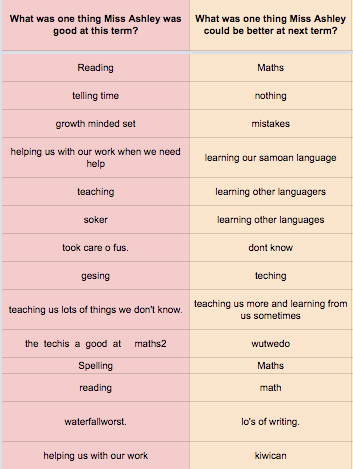 Week 3We didn't get as much time to practice this week, as we had 2 different trips on 2 different days and Whanau Conferences. 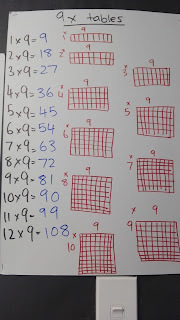 Ottilie (who has been teaching these kids for clinics wrote a reflection here).I taught them the hand trick for remembering your 9x tables which they all use and find helpful. One gem moment was on Wednesday, while I was practising using play money with some of the students. Syraiah-Lee happened to be sitting next to me. 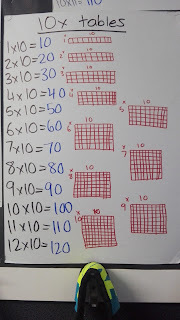 We started off in the first week of school with our 2x, 5x and 10x times. 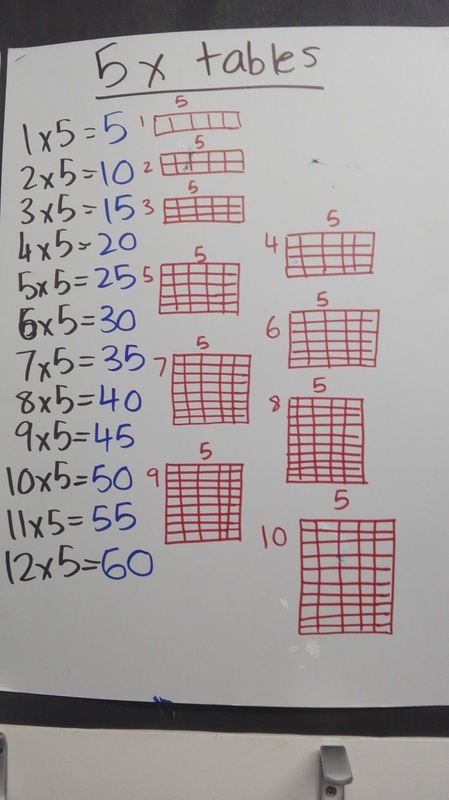 I made up boards that had the times tables written out, as well as an array diagram for each one. Every time we meet, we start off by skip counting.. There were 5 rows of houses and 3 houses in each row. How many houses were there altogether? We practiced almost daily, and I could tell the kids were starting to know them instead of just reading them. Some even physically turned away or closed their eyes while saying them to prove they really know it. They lined up by the door and we made it a little competition. I would call out a times table question (one they knew and had practiced) and whoever said the answer first got to take one step forward. Viliami and Sosaia really took to this, and were the first to reach me at the other end of the corridor. Lopiseni - did not participate. 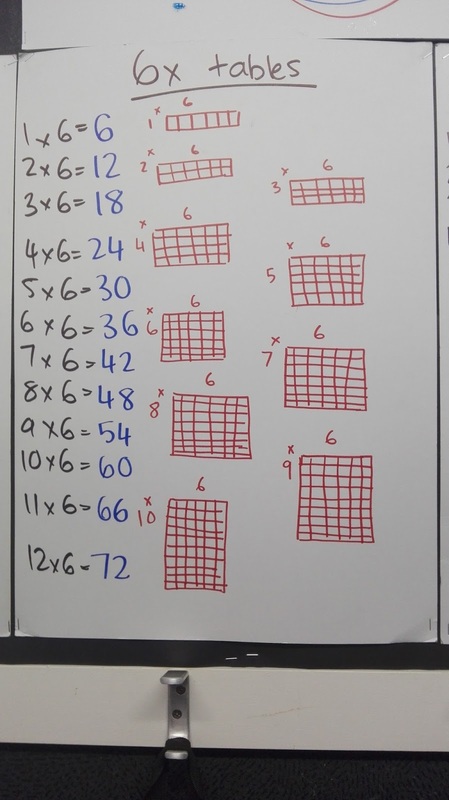 This week I introduced 3x, 6x and 9x tables. 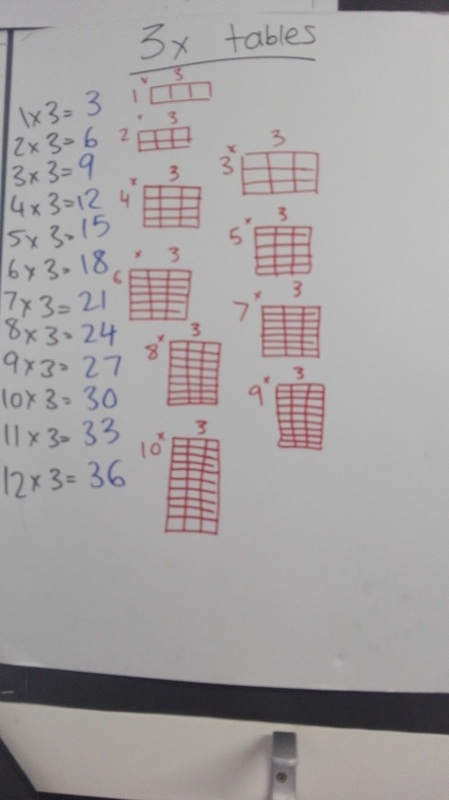 We followed the same routine, and did 3', 6's and 9's in addition to practising 2's, 5's and 10's. 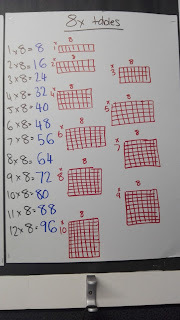 It was interesting to see other students want to come and join the group, as they could see that group were really learning their times tables quickly. For example, when we started our 3 times tables, Merielle asked to join because although she knew she didn't know her 3's. 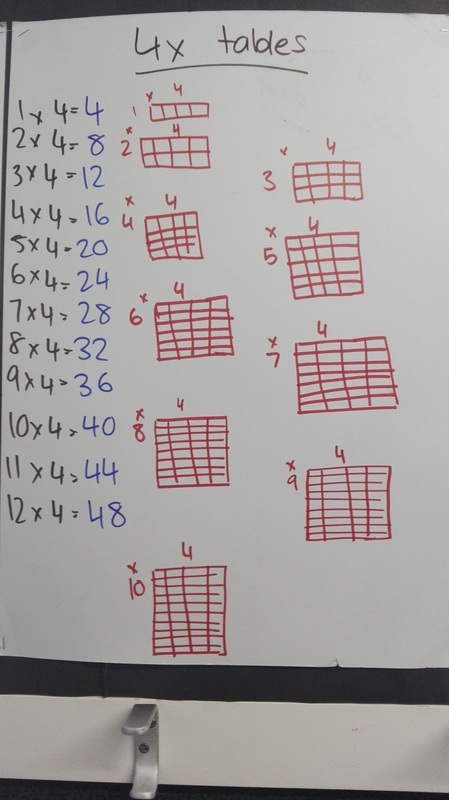 In week 4 I introduced 4 times tables. We tried to do 8's, but it was a bit much for them. 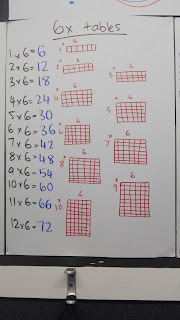 These workshops were really awesome as it gave the target students a chance to practice their times tables yes, but also, and more importantly for me, to feel successful. 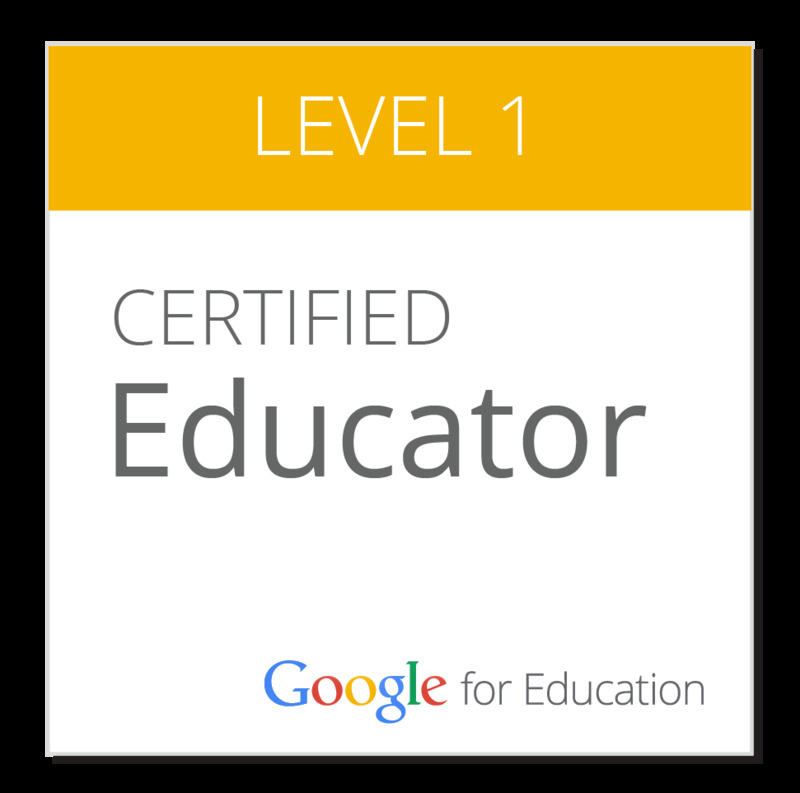 That they finally got it, could do it by themselves, could answer the teachers questions and explain it to other people, that is what was awesome to see. They are so much more confident. This week was awkward for maths, as we had the PWC FLiP course (Financial Literacy in Primary Schools). 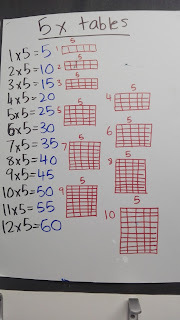 This was an awesome programme and the students learnt a lot, however to keep up with the LTP/Overview, we had to do that for maths as well as introducing ratios. 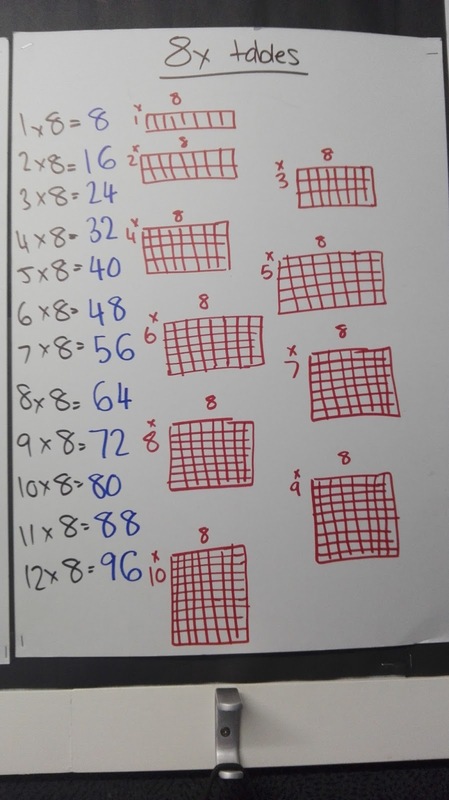 We were still able to practice the times tables we have learnt about. The two girls I was asking, were adding decimals (in the context of money) in their heads. Syraiah-Lee was looking at them sadly. 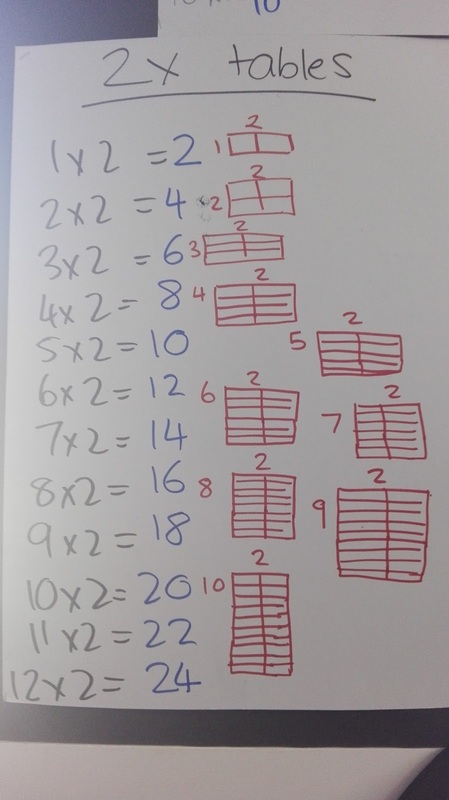 I turned my little whiteboard to her and said to her 'you know place value don't you?'. She looked at me and said 'yeah I do' (looking confused), and I replied 'so you can do this like they can. Use place value). After looking at it for a second, she realised she could do it and then went on to add decimals, in her head, unhelped. She looked so surprised at herself that she could do the same thing that other students (who are known to be really smart) could do. Something that happened this week that I felt was a huge indicator of the progress these target students have made, occurred on Monday. Ottilie and I continued our student-sign up workshop thing. On Monday morning, all my target students chose to go to my workshop instead of Miss Morrison's, even though they knew we were doing the same learning intention. 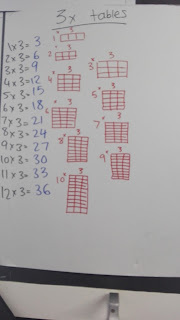 Then they came to me in the afternoon as well (even though they have never done add/sub of fractions before). That, from kids who last term even would refuse to participate out of fear of getting it wrong. Their confidence has grown sooo much this term. They finally feel success. 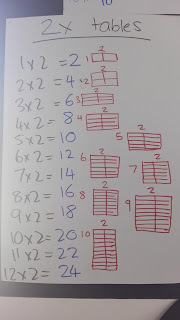 Learning their times tables has allowed them entry into that next step of maths, where they had previously been locked out of. And you know what, they could add and subtract fractions. They did it. Syraiah-Lee and Stanley's absences is an on-going issue. They miss the first half of the week, where the 'teaching' happens, and then come on Thursday and Friday and don't know what to do for follow ups. This makes them feel confused and loose confidence, and even if I offer to go through it with them, they don't want to do it because they feel its extra help and that they are dumb (when in reality, they just missed the lesson). This week to encourage the target students to keep practising their times tables, I made times tables bracelets and made them wear one a day of a times table they didn’t know. It worked surprisingly well, as the rest of the class wanted them as well and hence the target students didn’t feel so weird about wearing the bracelets. Almost overnight, Syraiah-Lee learnt her 4x tables and Paula learnt his 6x tables. I will continue using these bracelets. Most of the target students have mastered their goals for this term and now need to practice and refine their skills. The bracelets work well as it is a constant in their face reminder of what they need to practice.